"For those of you ... who have never heard of "Wilkof"s Law", it goes like this. Question: "How do you know when there is economic slowdown?" Answer: "There is an increase in patent litigation." Wilkof's article, "Patent Litigation, the ITC and Hardship in the Chip Industry" gives examples, reflecting an increased rate of patent litigation in the United States which can be seen not merely in the courts but in terms of actions brought before the International Trade Commission. The full text of his article can be read here. 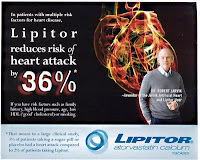 The Financial Post reports that pharmaceutical giant Pfizer Inc. is accusing leading Canadian generics company Apotex of infringing its US patent for best-selling cholesterol drug Lipitor. Apotex has applied to the US Food and Drug Administration for permission to import and sell four dosage strengths of the drug; Pfizer says this infringes its 1993-issued patent 5,273,995 (the enantiomer patent), which is not set to expire till 2011, the New York-based company said in court papers. Pfizer also seeks legal fees, costs and expenses for the lawsuit. According to Duncan Bucknell's IP ThinkTank scorecard, Pfizer has litigated Lipitor patents in 24 jurisdictions, mainly in vigorously-contested validity proceedings involving Indian pharma company Ranbaxy.
" ... all claims for infringement are to be tried with the Mexican Patent Office, which renders the cases to be administrative processes rather than judicial instances. Decisions rendered by the Mexican Patent Office will only rule on whether the infringement took place or not and, in a declarative type of decision, the defendant will be ordered to immediately stop the infringing activity and will also be fined. Fines for patent infringement cases can go as high as US $85,000.00, although the Mexican Patent Office has hardly ever applied the maximum penalty". One might wonder whether trial of inter partes disputes relating to infringement as administrative processesm with penalties that appear derisory in relation to actual damage, are TRIPs-compatible. 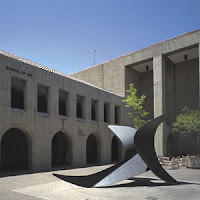 According to a press release reported in MarketWatch, The Law, Science & Technology Program at Stanford Law School has launched the Stanford Intellectual Property Litigation Clearinghouse (IPLC), a first-of-its-kind online database that offers comprehensive information about intellectual property disputes in the US. A publicly available online research tool, the IPLC will enable scholars, policymakers, lawyers, judges, and journalists review real-time data about IP legal disputes filed across the US, with the aim of providing a tool for analysis of the efficacy of the system that regulates patents, copyrights, trade marks, antitrust, and trade secrets. The IPLC database includes real-time data summaries, industry indices, and trend analysis together with a full-text search engine, providing detailed and timely information that cannot be found elsewhere in the public domain. The Patent Litigation Module, includes more than 23,000 cases filed in US district courts since 2000--raw data for every district court patent case and all results (outcomes and opinions). The IPLC website can be found here. * "Patent Troll Litigation", a robust account by Stephen S. Korniczky (Hastings, Janofsky & Walker) of the tactics that defendants can adopt in infringement actions brought against them by non-trading entities. *"Simplifying the System", in which PW editorial board member Michael Burdon (Olswang) further articulates the 'Burdon Plan' for accelerating UK patent litigation while bringing down the cost. For further details of Patent World click here. Some patents are never litigated, because they are simply too silly. A collection of these, together with some pointed comments by the author Daniel Wright, can be found in Patently Silly -- published by Carlton Books (web details here). The author's Patently Silly weblog provides more of the same, and is ideal reading material for those fascinated by personal hygiene. 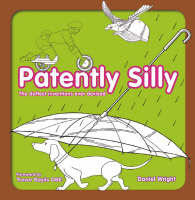 This little book slips neatly into a typical Christmas stocking and provides some mild amusement for those within the profession whose own examples of silliness probably come from the behaviour of patent litigants as much as from the subject matter of the granted patent. Stephanie Bodoni (Bloomberg) has reported Margot Froehlinger as saying that chances of a pan-European patent litigation system are better than ever. Ms Froehlinger, a director at the European Commission in charge of the EU proposal, suggested that this was because Europe was in an economic crisis and every crisis provides the chance to turn it into an opportunity. 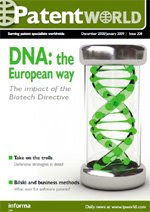 The Brussels-based regulator still needs the backing of the region's 27 nations if its 2007 proposal to create a single EU patent and a centralised court to handle disputes over inventions is to come into operation. An earlier debate on the same plan broke down in 2004 when governments failed to agree on the languages to be used. The proposal on the table now is more straightforward and will make headway under the Swedish EU presidency, said Froehlinger. "Plaintiffs have gravitated to these courts north and east of Houston, because the Eastern District has been providing plaintiffs some degree of certainty. Plaintiffs have come to expect several things, including a relatively short track to trial, the use of specific local patent rules, a no-nonsense policy toward discovery, and a low likelihood of cases being transferred out of the district. Most importantly, plaintiffs have relied on the reputation that its judges rarely grant defendants summary judgment and that its juries frequently decide in favor of plaintiffs. Indeed, until recently, no jury in the Eastern District had invalidated a plaintiff’s patent. This had the result of limiting defendants for practical purposes to non-infringement defenses and provoking many, often lucrative, settlements in plaintiffs’ favor. Furthermore, the jury found all of the asserted claims ... to be invalid. Specifically, the jury found them anticipated by one prior art reference and rendered obvious by four separate combinations of additional prior art. Following the trial, the jurors told counsel they had spent the bulk of their deliberations considering the prior art and the validity of plaintiffs’ patent. Palomar’s victory is only the fourth time that an Eastern District jury has invalidated a patent. All four, however, have come in the past two years. Why are Eastern District juries now willing to consider and, more and more, accept invalidity defenses? Perhaps defendants are doing a better job of educating juries on their role in being the ultimate decision makers about the validity of patents. Perhaps, the less patent-friendly publicity of the past few years, as Congress debates patent reform and industry complains about the costs of patent litigation, has filtered down and is making an impression. Perhaps in the current economic climate, juries are taking a harder look at whether plaintiffs really should be entitled to significant recoveries. ...". In a move that will disappoint many patent trial lawyers, shoe maker Crocs Inc and Skechers USA Inc have announced the settlement of all litigation between them in the action brought by Crocs. There's something to disappoint transactional lawyers too: the the settlement terms were not disclosed. 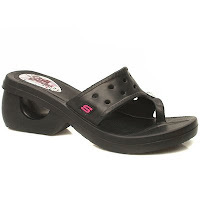 The agreement covers all outstanding worldwide litigation and appears to be resulting in Skechers concentrating on its core styles in place of Croc-type molded footwear. Sony to pay up, but is it a bargain? The British-based Gamesdog website reports that computer games giant Sony has been ordered to pay US$18.5m in compensation, after a US court rules that the company was liable for infringement of eight of its patents. The court said it found "clear and convincing evidence" that Sony wilfully infringed patents covering "wireless local area network apparatus" while manufacturing its PSP, mylo Personal Computer and Network Walkman products. The successful claimant was Agere Systems, an integrated circuit components company which first filed the complaint eight patents in 2006. Agere has since merged with a company called LSI. It may seem like a fair sum of money but, divided among the eight patents, infringed in respect of three separate products, US$18.5 million doesn't seem very much at all. We may speculate as to how much Sony would have had to pay if it had taken 3 x 8 conventional licences.